Jeanette Marsella is an early riser. A resident of the senior citizen apartment building on the Post Road in downtown Fairfield, next to St. Thomas Aquinas Church, she was up, as usual, at 4 a.m. on Tuesday, Oct. 30, in the middle of Hurricane Sandy. The building, with 14 residents, had been without power since Monday night when Hurricane Sandy hit with its greatest force. But when the power went out, an emergency lighting system in the hall came on. But at 4 a.m. Tuesday, when she opened her apartment door, even the emergency lights were out. "I thought, `This is not good,' " the 80-year-old Marsella said the other day. "It was pitch black." After a while, she roused another resident, Anthony Dinzeo, so they could consider what to do next. They went down to the building's lobby, where a wall-mounted fire-alarm system monitor glowed with the word "Trouble." "Let's go for a ride," Marsella said to Dinzeo. At first light, with 88-year-old Dinzeo riding shotgun, Marsella set out in her Buick to find out what they should do. Their first stop was Fairfield Fire Headquarters on Reef Road. "A nice young man talked to us and we told him what the problem was," Marsella recalled. They returned home and shortly took a phone call from Al Menillo, an inspector in the Fire Marshal's division of the department. Menillo told them he was going to establish a fire watch at the building for Tuesday night. And that night two firefighters were stationed at the building with flashlights and emergency equipment. The fire watch was needed for only a few hours because the power came back on. 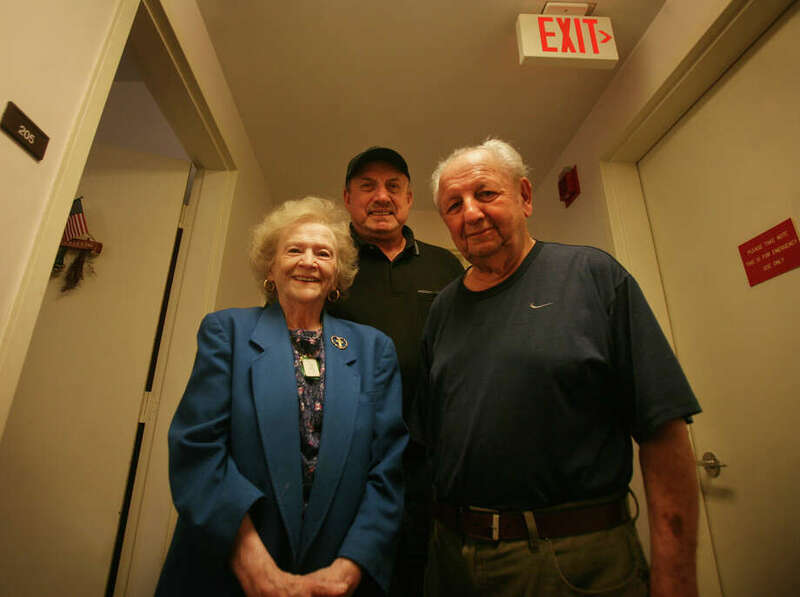 Marsella was so grateful for the help that she called the Connecticut Post to tell the story. She knew only that the man who'd arranged for the protection was named Al and had an Italian last name. It didn't take long to track down Menillo, a decorated Marine and a 42-year-veteran of the department. Menillo, incidentally, retired on Nov. 2. He clearly wasn't coasting into retirement. Reached at home, Menillo said he was just doing his job. Marsella, he said, was the extraordinary performer. "The storm was still going on and here she is out looking for help for her neighbors," he said.